Mentoring adventures – Watching failure in real time! So I’ve just had another mentoring session with my Incubator in London. 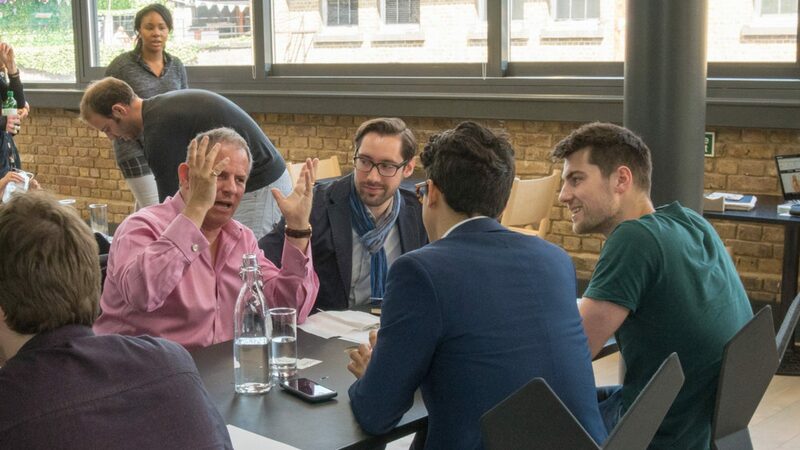 It was organised in a slightly ad-hoc manner, so I ended up meeting startups I’d already speed mentored a couple of weeks prior. One startup was a mobile app for black cab customers. It was a slightly awkward meeting as we had been communicating via email since our last meeting, so their wasn’t much to say plus a new person joined us who wasn’t properly introduced. After a couple of aborted topics, we started to discuss how to gain traction and with my thinking cap on, I considered the demographic of his target audience. I realised that a large proportion of cab users would be overseas visitors that would not have a 4G roaming plan and therefore relied on Free WiFi when traveling. To allow them to download the app they would need WiFi in the cab, as I had been talking to a 4G WiFi company, I figured I had found a perfect product for a cabbie. The cabbie themselves would be able to use the unlimited free WiFi for their own surfing while on the road. The passengers, domestic or foreign, would benefit from the free WiFi. The app company could have a link to on the registration page as well as a sticker in the back of the cab. A public WiFi company could fund it through advertising on the registration page. Cabbies would benefit directly from saving money on their phone tariffs requiring only minimal data usage outside of their cab, as well as the added advantage of offering their fares free WiFi. Everybody benefitted, the classic win win scenario. To my amazement, the startup wasn’t interested, at every turn they could see problems and they wanted to control the eco system. Most of the problems could be addressed, but for me to watch that level of self destruction was amazing. For no cost, no commitment, the app company could have had direct access to at least 30% of their target market. It was a no brainer, their was literally no down side to the app company. Sure, the deal might not have happened and if it did it might not have been successful, but there was no risk in failure. I had seen risk averse people throw away opportunities like this before, but I had never observed it so acutely and so directly and for no reason what so ever. It reminded me of the now infamous visit IBM made to Digital Research back in the 1980’s. They wanted a company to supply an operating system for their soon to be launched new computer, the IBM PC. Digital research already had such an operating system, so IBM paid them a visit. The manager on duty gave them a gruff reception asking them to call back the next day when the owner was back from vacation while refusing to sign IBM’s standard NDA. IBM being a little taken aback, didn’t bother to visit them the next day, but instead went round the corner to visit the fledgling Microsoft, asking if they had a suitable operating system. They didn’t, but Bill Gates welcomed them in, immediately signed their NDA and told them he could get their operating system (to be called DOS) within 2 weeks. The rest, as we say, is history. The unnamed woman that sat with us turned out to be a new hire for the app company and an old college buddy of the founder. During the meeting, I could see her squirming, as she understood the significance of the meeting and she understood what the founder was throwing away. At the end of the meeting, I explained to the founder that I would not make the offer again, nor would I invest in his company. I would, however, continue to provide advice and guidance to him if he wished, which I feel obligated as part of the duties of the Incubator. If his colleague has any sway, she will be able to explain what a pivotal moment that was and the importance of it. She should also be able to convince him to change his way of thinking and ask for more help. He needs it! I have never before observed or understood such acute failure in real time. It was absolutely fascinating. It’s like pain, you can describe it, but until you feel it, you can never truly understand it. ⟵How do we measure success?